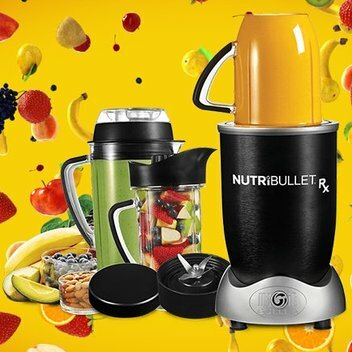 Get a free Nutri Bullet RX | FreebieFinder UK | Freebies, Samples, & Other Free Stuff. triffiq is giving one lucky person the opportunity to whip up healthy smoothies and drinks with a free Nutri Bullet RX. This useful kitchen appliance comes with a 2.3 horsepower motor and 1700 watts of power. Easy to clean with zero fuss, whip up nutritious drinks, delicious soups and sauces for you and all the family in no time with this versatile 10-piece set. This was posted 3 months ago 16th January 2019 and expired 3 months ago 21st January 2019. Head over to the triffiq website to enter this competition.